In the fourth and third centuries B.C. a totalitarian revolution swept across the ancient world. In 404 BC the mad imperialist plans of Pericles ended in total disaster as Athens surrendered to Sparta. Pericles himself died of the plague that his war brought to Athens. The defeat of Athens was the end of democracy as major force in Greek politics. The major Greek philosophers who came after him had nothing but contempt for democracy and saw it as a failed system. Alexander the Great swept what little was left of it into the trash can of Greek history as he created a super state that stretched from the Mediterranean to India. In China and India totalitarian systems would also arise. In India they evolved as an indirect result of the Greek invasion of India by the armies of Alexander. In China the road to totalitarianism came from within with the evolution of the "Legalist" school of philosophy. This would turn the state of Chin into the Sparta of the East and would enable in to create the first Chinese Empire in 221 BC. Legalism itself first developed in the 4th century BCE and the founder of the Legalist school was Hsün Tzu. The most important principle in his thinking was that humans are inherently wicked and that morality does not naturally exist in nature. Rather, morality must be enforced through an absolute leader and the mechanism of state authority. Lord Shang, a key Legalist thinker who would emerge later, penned many of these ideas in "The Book of Lord Shang." Shang states that laws are designed to maintain the stability of the state from the people, who are believed to be innately selfish and ignorant. This is no such thing as objective goodness or virtue in Legalism; it is obedience that is of paramount importance. A harsh ruler is demanded to keep the people of the state under tight control. A brief history of China's unification is explained below, along with the significance of the Legalist Ideology in this process. The Warring States Period in Chinese History (475 - 221 BCE) was an extremely lengthy and bloody time where several competing kingdoms vied for power. Early on in the Warring States Period, the state of Qin was in a condition of under development and decline. Its population was mainly composed of semi-tribal people. This was part of the reason Qin was referred to as a "half barbarian" state. However, Qin was equipped with natural defenses that later allowed it to defend its borders and build up its military. Through a series of dramatic reforms, Qin would eventually emerge supreme and become the state that unified all of China under its grasp. In the 4th century, the State of Qin went through a period of dramatic reformation. At the time, Qin was lacking in cultural sophistication. When Duke Xiao (381-338 BCE) came to the throne, he called forth men of talent (including scholars, administrators, theorists, military strategists) from other states to help him with his reforms. Key among these foreign talents was a Legalist scholar who later came to be known as Shang Yang. Lord Shang conducted a serious overhaul to the political structure of Qin and centralized the bureaucracy of the state, much to the opposition of several politicians. The most important reform was the changes made to Qin's military. Control of the army was taken away from nobles, and the aristocracy was abolished. Military discipline was strongly enforced and the troops were trained to adapt to all situations in battle. By 318 BCE, the military might of Qin was so great, that they held off an invasion from the combined forces of four different states: Wei, Zhao, Han and Chu. This alliance of the four states crumbled after the failure of their military campaign, and Qin emerged as a superior military power in the region - they became the Sparta of the East. Ironically, even though Lord Shang advocated the need for a harsh and ruthless ruler - it was precisely such a ruler who later put Lord Shang to death. After the death of Duke Xiao, his successor King Huiwen had Lord Shang executed on charges of treason, for a minor slight Shang's reforms caused against Huiwen in his adolescence. In the century after Lord Shang's Legalist reforms, the state of Qin continued to grow in power. In 247 BCE a new leader of Qin emerged named Ying Zheng, this was the man who would eventually conquer the six other warring states and sculpt a unified empire from their ashes. By 221 BCE Ying Zheng accomplished his goal after subduing the last rival state in his way, and declared himself "Qin Shi Huang" (meaning First Emperor of Qin). He founded the Qin dynasty and became the first ruler of China. The Western name "China" even comes from the word "Qin." When Emperor Qin (260-210 BCE) established his empire, he unleashed a Totalitarian reign of terror to maintain order. This was a radical legal revolution that forever changed the history of the nation and was crucial in forming the state that we know as China today. To achieve total unification, the people of China were yoked to a spartan existence of harsh labor, heavy taxes, rigorous laws and compulsive military service. To strengthen the unity of his newly built empire, Qin carried out many reforms in the fields of politics, military and culture. Executive power in both central and local regions was reorganized and local counties were restructured. Qin also imposed a widespread standardization of weights, measurements, currency and the written character. The infrastructure of the nation experienced radical growth. National roads and irrigation works were built. Qin also began work on one of China's greatest wonders - the Great Wall. 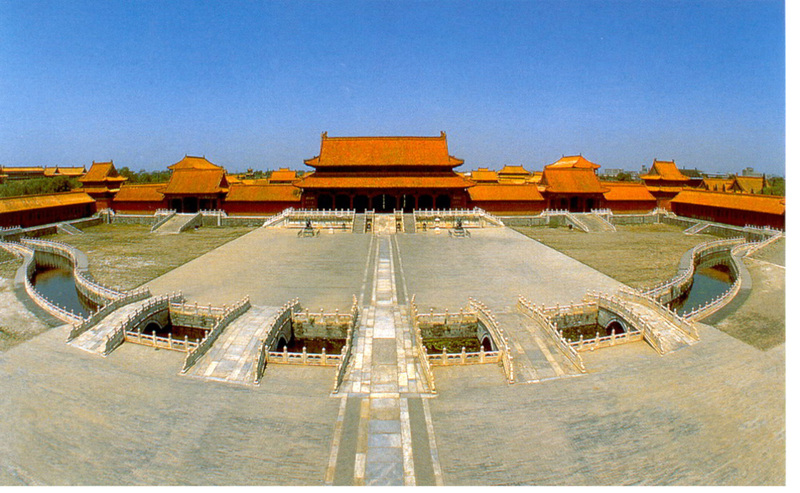 In addition to these public works, Qin built several luxury palaces for himself and a city sized mausoleum. Thousands of laborers died in the construction of these immense projects. So many people died in the building of The Great Wall, that it is referred to as one of the longest cemeteries on Earth. Even the freedom of thought was crushed by Qin's heavy hand. To prevent people from criticizing his policies, many books were burned - including books about past rulers and alternative political ideologies. There was also the infamous execution of scholars. In his second year of rule, after discovering some scholars had discussions about his arrogance, he buried 460 of them alive. "Listening to the people would be enough. But the wisdom of the people is useless: They have the minds of little infants! If an infant's head is not shaved, its sores will spread, and if its boil is not opened, it will become sicker. Yet while its head is being shaved and its boil opened, one person has to hold it tight so that the caring mother can perform the operation, and it screams and wails without end. Infants and children don't understand that the small pain they have to suffer now will bring great benefit later (The Book of Master Han Fe)." Emperor Qin's Dynasty did not last for long; it ended a mere four years after Qin's death. Yet even in death, Emperor Qin Shi Huang surrounded himself with a massive martial force. The Terra-Cotta Warriors, buried east of Qin's vast mausoleum, are a symbol of Qin's military might. The Terra-Cotta Warriors include 7,000 life sized pottery horses, soldiers, chariots and weapons. It is considered one of the greatest archaeological finds in history and serves as a reminder for those of us living today of the vast wartime machine that was under one man's control. It is also a grim reminder of his reign of terror. It's the only major ancient tomb never to be robbed. Why? Because he probably had everyone killed who knew where it was. Many later emperors and philosophers regarded Qin's reign as cruel. Yet the ideas of Legalism embraced by the state of Qin remained a crucial part of Chinese thought. Rather than disappearing from the books of history, they blended with other major philosophies of governance, such as Confucianism and Daoism. While Qin's reign is regarded as harsh, a brutal leader may have been the only way to end the civil war and mass blood shed of the Warring States Period. After the Qin dynasty ended, the Han Dynasty (206 BCE - 220 CE) emerged as the new authority in China. Han scholars, such as Jia Yi (201-169 BCE) portrayed the previous Qin dynasty as a brutal regime. However, archaeological evidence from Zhangjiashan and Shuihudi reveal that many of the statues in the Han law code were derived from Qin law. The Han dynasty accepted the philosophical teachings of Legalism, Huang-Lao Daoism and Confucianism in the shaping of government policy. Confucianism also called for government hierarchy and adherence to tradition. When Wu Di (meaning "Martial Emperor") became emperor in 141 BCE, he initially dismissed his Legalist advisers and surrounded himself with those who believed only in Confucianism. Yet by 110 BCE, Emperor Wu's punishments began to resemble Legalism more than Confucianism. Throughout Wu Di's entire reign he had seven chancellors, and only one died of natural causes, the others were condemned for crimes. Also when the rebellious plans of three kings were discovered in 122 BCE, more than 20,000 people were tried and sentenced to death. Later dynasties combined the policies of Confucianism, Legalism and Daoism throughout the ages. In modern times we have seen the influence of Legalism on Chairman Mao, of the People's Republic of China. Mao Tse-tung, the founding father of the People's Republic in China was a great admirer of Legalism. Mao was also the greatest mass murderer of all time. Mao was a blood thirsty reformer. He ultimately caused the deaths 80 million over the course of his regime. China's Legalists. The Earliest Totalitarians and Their Art of Ruling. Zhengyuan Fu. A very good summary of early Chinese political theory. Autocratic Tradition and Chinese Politics Zhengyvan Fu. A history of the influence of legalism on Chinese history. Chinese Thought by Herrlee G. Creel. By far the best study ever written of Chinese philosophy. Particular attention should be paid to Chapters VII, VIII and IX to understand the Asian mind. The influence of the totalitarian vision of Legalism on Chinese thought for thousands of years is not fully understood. The Chinese Empire, created in 221 B.C., was a fusion of Legalism and Confucianism. Chairman Mao was a great admirer of the first Chinese Emperor, who hated Confucianism and was a total Legalist. 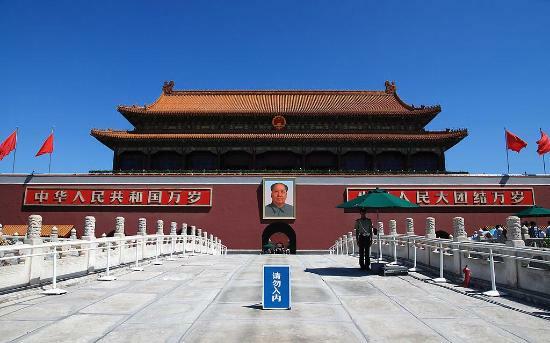 Indeed, modern "Communism" in China is really very much a continuation of some past trends. Three Ways of Thought in Ancient China. Arthur Waley. A very interesting analysis of totalitarian roots of Chinese political philosophy. The Book of Lord Shang: A Classic of the Chinese School of Law. Translated from the Chinese with Introduction and Notes by Dr. J. J. L. Duyvendak. University of Chicago Press. The Works of Hsuntze. Translated from the Chinese, with Notes, by Homer H Dubs. Arthur Probsthain, London, 1928. Han Fei Tzu: Basic Writings Translated from Chinese by Burton Watson. Columbia University Press, 1964. After the collapse of the Soviet Union there was a lot of fairy tale thinking that the whole world would achieve paradise via America's political and economic policies. US Presidents like Bill Clinton hailed China as America's "strategic partner". China would soon become like the US, we were told. It has not happened. China is today more totalitarian than it was during Clinton's time in office. Meanwhile, the trade policies of Bill Clinton and the US plutocratic elite have shifted the world economic balance of power to China. Today, in terms of some measures of economic power, China actually has a larger economy than the US. Unfortunately, all is not well in modern China. 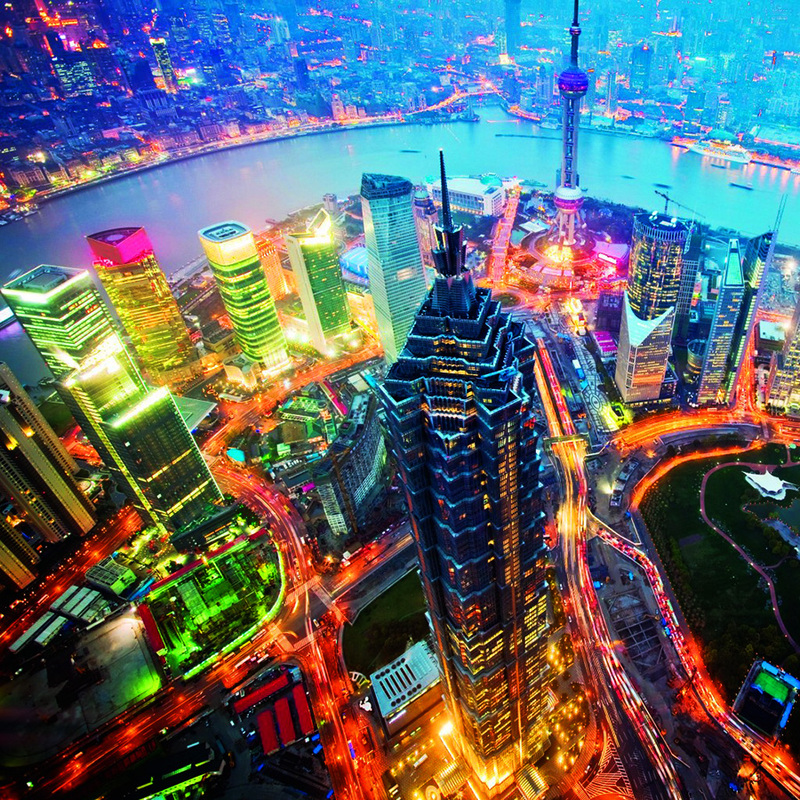 China's environmental policies have created the world's largest environmental nightmare. It's doubtful this will end well. Mao killed 80 million. If the problems in the "Green Revolution" in agriculture and other horrors get out of control, a far higher death toll could be coming. However, the continuing influence of Legalist philosophy and modern variants of Chinese political ideologies will create the framework for a truly ruthless reign of terror if things explode. This may be the only way to order in our time as it was in ancient times. 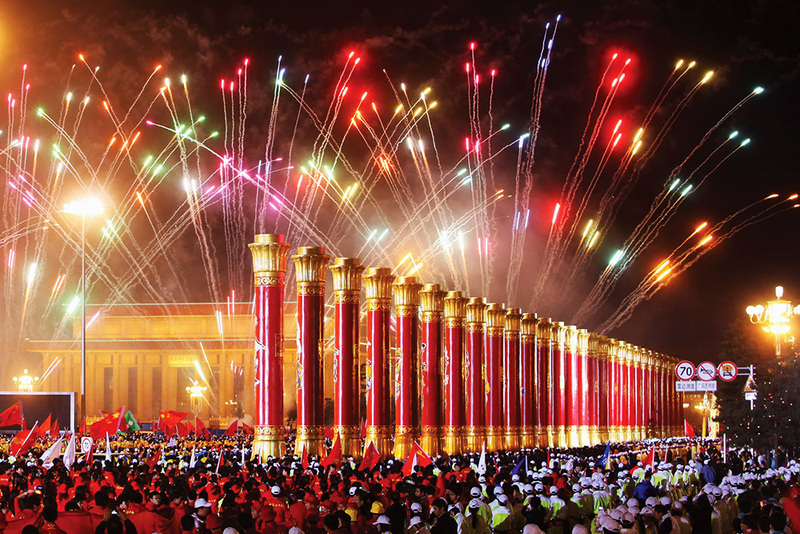 The celebration of Mao's takeover of China in 1999 shows the combination of ancient and modern. It is a portent of the future as well as the past.